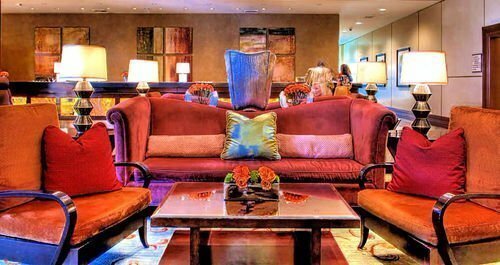 The Las Vegas Suites at The Signature, 145 East Harmon Avenue is an ideal spot for people who want a relatively affordable well-equipped Vegas hotel. 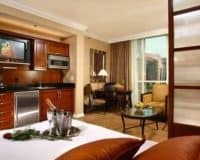 The Las Vegas Suites at The Signature, is close to the heart of all the world-famous Las Vegas action, lying under a mile from the City Center Las Vegas. This makes it ideal for anyone who wants to holiday in a luxury and well-located place, be your trip be for business, pleasure or a mixture. The rooms are comfortable, the amenities are good, and you are sure to have a good time at this relatively affordable Vegas hotel. The hotel offers a wide array of amenities, including a luxury spa, where you can relax and let your hair down; alongside a sparkling outdoor pool, perfect for a refreshing dip during the sweltering Las Vegas summer. 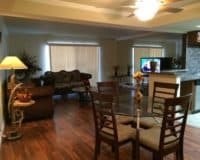 This combines with all the usual amenities that you would expect, including free onsite parking and WIFI that can be accessed throughout the property. The accommodation is comfortable and spacious including air-conditioning in every single room, private ensuite bathrooms that come with little added extras such as toiletries and comfortable towels, a microwave, fridge and stovetop in every room, allowing you to cook for yourself during your Vegas stay (with the option to have a fully-equipped kitchen for a little extra), alongside wide-screen televisions equipped with cable and comfortable, luxury beds. The Las Vegas Suites at The Signature is an ideal spot for people who want a well-equipped Vegas hotel, which is relatively affordable. It hits that middle-path sweet spot: not too expensive, yet not tacky or cheap, making it perfect for people who want comfort without being too extravagant. Within 2 mi (3 km) of Crystals at City Center, University of Nevada-Las Vegas, and Thomas and Mack Center.